This portrait was engraved by S. W. Reynolds, published Agnew and others, 1844 (example in NPG). It was copied for the residuary legatee of the donor's estate before entering the collection. 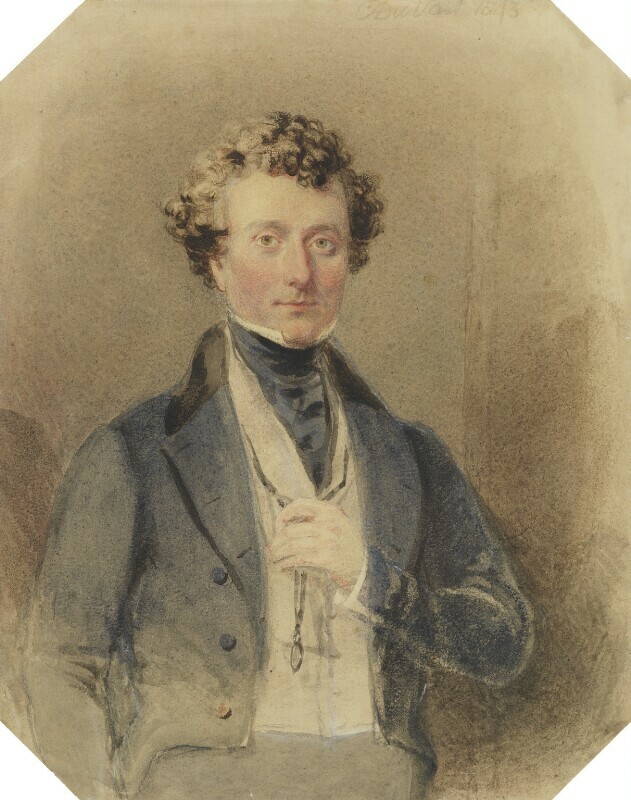 Several other portraits were bequeathed by G. Milner-Gibson-Cullum at the same time. Rev E. Farrer, Portraits in Suffolk Houses (West) (1908), p 157. Pinkish cheeks, brown eyes and hair. Dressed in a dark stock, white shirt, light-coloured waistcoat, and dark brown coat. Background colour brown. By descent to Gery Milner-Gibson-Cullum, and bequeathed by him, 1922.